The complex is a beautiful place to relax and unwind. There are fantastic mountain views from the pool area and the gardens. The local shops are close by and town centre is just a 10 min walk away. The beach and marina are located southwest of the lovely ancient port of Gocek about a 15 min drive and Dalaman International Airport is only 15 Km away. 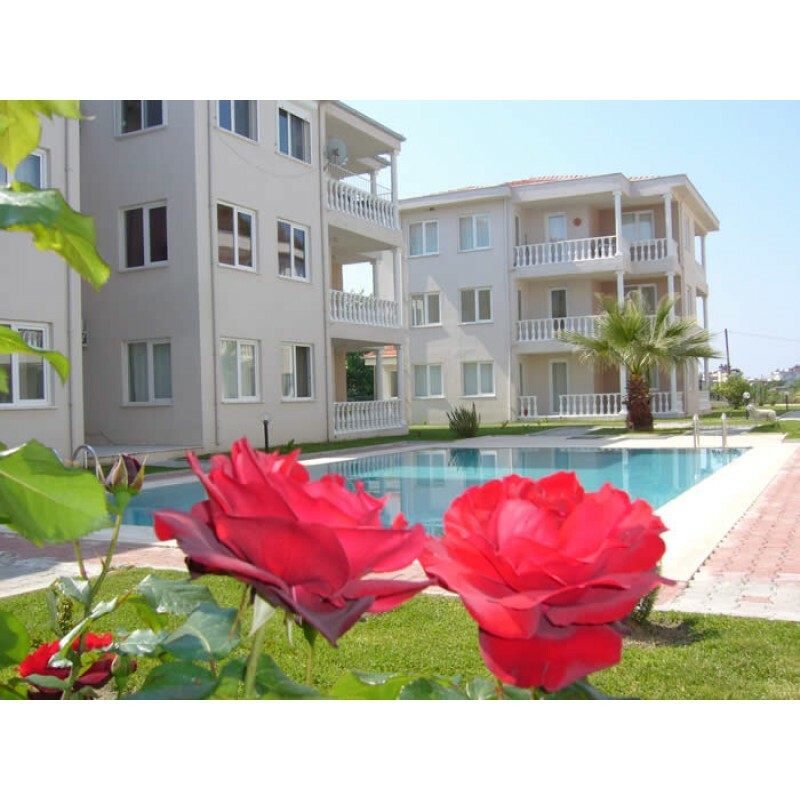 Situated in South West region of Turkey, Dalaman is a stunning and popular holiday resort for many nationalities, and Dalaman holidays offer something for everyone. With stunning stretches of unspoilt coastline and long sandy beaches preserved by environmental agencies, Dalaman is fast becoming a top destination for holidaymakers. Holidays in Dalaman really do cater to everyone. Dalaman's popular neighbouring resorts of Fethiye, Marmaris, Icmeler and Gumbet, you are sure to find the perfect resort for you in Dalaman. This port is renowned for its natural beauty and is home to two major and a number of minor marinas. Marmaris has a very young vibe and is home to a fantastic nightlife, so if you are looking for beautiful scenery, watersports and a great night out then Marmaris is the resort to choose. Icmeler lies within the Marmaris resort area, and provides breathtaking mountain top views over the stunning Aegean Sea. Icmeler's former function as a fishing and diving town has elevated it water sports facilities above those of neighbouring resorts, and recent development as a tourist destination has provided high quality restaurants and hotels. Contact us today to book an inspection trip or make an offer on this fantastic investment opportunity.